We have been fortunate to acquire one of the very small initial batch of the Dennerle Scaper’s Tank. 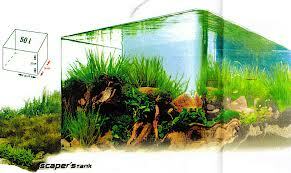 It’s a fabulously designed 50 litre aquarium with clean lines and ideal proportions for aquascaping. Supplied as a complete kit with filter, light, planting substrate and plant additives. Available now for £219.99. Hurry before one of the staff buys it for themselves!